Mary Victoria was born in Turners Falls, Massachusetts. Despite this she managed to live most of her life in other places, including Cyprus, Canada, Sierra Leone, France and the UK. She studied art and film, and worked as an animator for 10 years. A job on Peter Jackson’s Lord of the Rings movies, working with Weta Workshop, brought her to her adoptive home in New Zealand, and rather neatly back to reading and writing fantasy novels. She now lives in Wellington with her husband and daughter. Here’s Mary Victoria’s blog. "I Don't Know What's Out There, But It Knows Me..."
Tymon is a young man growing up amongst strict priests in a seminary, an indentured orphan whose life and future have been organized in full by his guardians. Only occasionally is he able to escape his chores to visit an exiled heretic and dabble in the work of science that has been all but banned by the priests. 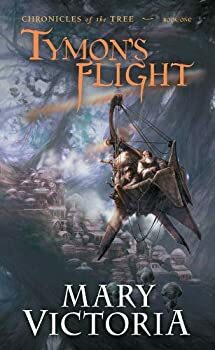 Life for Tymon is made up of routine and dreaming, but when his friend Galliano constructs a new flying device, his desire for a world beyond the confines of the seminary suddenly seems as though it could be realized. This is the second book of Mary Victoria's Chronicles of the Tree trilogy, following closely on the heels of Tymon’s Flight and preceding the final book Oracle’s Fire. 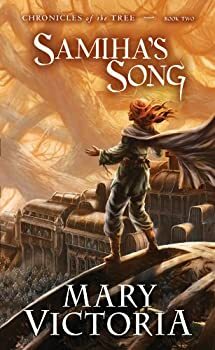 As is always the case with middle installments, the story neither begins nor ends, though there is more scope for world-building, character development, and getting the disparate plot-threads in place for the final book. 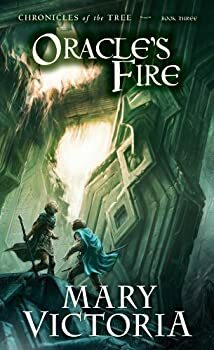 The third and final book in Mary Victoria’s CHRONICLES OF THE TREE trilogy, Oracle’s Fire is a worthy conclusion to the story started in Tymon’s Flight and Samiha’s Song, wrapping up the multiple storylines and giving closure on all the characters. 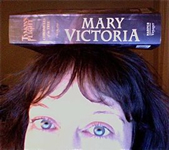 Although the trilogy is classified as fantasy, it veers more toward science fiction what with its distinct lack of swords and sorcery, and use of religious sects, rudimentary technology and mystical visions to shape Mary Victoria’s imaginary world.